Comparing the commercial and popular successes and failures of Marvel and DC is not new topic of discussion. The prevailing opinion, which I happen to agree with, is that Marvel is winning in the movies, while DC is winning (barely) on TV. But today I’m not talking about the movie or television adaptations. Today I’m talking about the actual comic books. My first comic book was Superman, in the story line that originally introduced the time traveling Linear Men. It was my first introduction to DC comics, and it wasn’t until several years later that I first began to explore Marvel comics, so I’ve always had a preference for DC. And while I enjoyed Superman, there was a different character that quickly became my favorite: Captain Atom. A big part of the reason for that is because of how his solo series was built, especially during the earlier years of the series. Nathaniel Adam was a Captain in the US Air Force during the Vietnam War. He was framed for a crime he didn’t commit, and sentenced to death. Under the purview of Colonel Wade Eiling, he was given an alternative: participate in a top secret project and receive a Presidential pardon. The experiment involved sealing him in a shell of alien metal…and then detonating a nuclear weapon underneath him. The detonation appeared to have obliterated the shell and its occupant, but in reality Nathaniel Adam had been sent hurtling though time. He reappeared in 1986, and was now connected to the alien metal which provided him with a fairly standard powerset: super strength, flight, and energy blasts. Sounds like pretty standard comic book fare so far, doesn’t it? So why was this my favorite character? Because it felt like his adventures as a super hero only took up about half of the space in each issue. The rest of the space was dedicated to Nathaniel Adam, typically outside of his Captain Atom persona, struggling to put his life back together. While it was true that he received a pardon for the crime of which he had been accused, there were still those that felt he was guilty and deserved to be punished. Even more seriously, the man that oversaw the project that nearly killed him, now General Wade Eiling, had married Nathaniel’s wife and raised his children as his own. Nathaniel spent a lot of time trying to reconnect with his son and daughter, which proved incredibly difficult given that Eiling raised Nathaniel’s kids to hate him. The most frustrating aspect of the series is that it was heavily implied that Eiling himself was the person that framed Captain Adam (get it?). Regardless of if that was specifically to have a test subject for his special project, to have a chance at his wife, or some combination of the two, Captain Atom never comes to a full realization of how much the course of his life has been altered by Eiling. The series was canceled before any kind of true resolution was made between the characters. And while Eiling did eventually become a full-blown supervillain, Captain Atom was not involved in those conflicts. But that’s why I loved this series: the focus of the storytelling was about this character, who despite the fantastic powers now at his disposal was primarily focused on trying to put his life back together, while still trying to serve the country he had sworn to protect, even though the system in which he originally served had betrayed him. He was a flawed human being and a very interesting character, with a fantastic and gradually expanding cast of supporting characters in the series that was really fun to read about. So what does this have to do with DC vs. Marvel? Given the example above, it should be fairly clear the kind of comics and stories that I prefer: the ones with a strong emphasis on characters, their flaws, and how they change and grow. So let’s look at what the two big comic book companies have been doing lately. They both have put together a (fairly standard) big summer crossover event, where multiple realities have clashed for whatever reason. The big difference is in how those events conclude. With DC, at the end of Convergence, the Multiverse is (once again) re-established. So there are multiple universes out there, each universe potentially having a different version of a ‘standard’ character. So any version of any character can now be used in a story. With Marvel, on the other hand, Secret Wars sees their multiple universes appearing to be collapsed down into a single universe, so that the only characters are the ones from the ‘mainline’ universe. There’s no more Iron Man and Ultimate Iron Man as two separate characters from two different universes, there’s just the one Iron Man. I love Marvel for making that decision, and I loathe the decision that DC has made. Why? Because it’s all about character. Marvel is committing, at least as much as any comic book company can, to tell stories about these characters. The conflicts and decisions they face will have consequences down the line. DC is essentially saying they don’t really care about telling consistent stories about their characters. They just want the freedom to tell whatever story they want, with whatever character they want, regardless of if there’s any reason for the audience to actually care. I can’t say that this is actually a surprise. DC has a long-standing habit of running a big event that resetd their official continuity in some way every couple of years. I don’t always agree with the storytelling decisions that Marvel makes (hello Spiderman & One More Day), but at least I can respect their desire to do what they think is best for the continued development of the character, even if I disagree with what actually is best for the character. According to Diamond Comic Distributors, I think it’s fairly obvious that Marvel is winning, not only in the movie adaptations, but in the original comic book medium as well. From January 2015 to May 2015, Marvel dominated the top 10 comic titles sold every month except for 1. We generally give Marvel a lot of credit for their movies, and their ability to tell very entertaining and impactful stories about relatively normal people with extraordinary abilities. Meanwhile, DC (via Warner Bros.) continues to catch a lot of flak for their inability to produce a really good superhero movie. I used to think that was because Marvel (the comic book company) has oversight over the movie studios that makes the movies, where DC is a subsidiary of Warner Bros, and therefore has very little power to control how the movies are made. But the more I look at this situation, the more I wonder if the problem runs deeper than that. Maybe the people at Marvel are actually doing a much better job at telling interesting stories with the characters and rules they have established for themselves. As much as I love the DC pantheon of superheroes, I’m finding it harder and harder to really care about any of them, knowing that everything I like about a given character could be undone in the next upcoming reboot (or the character could disappear entirely). 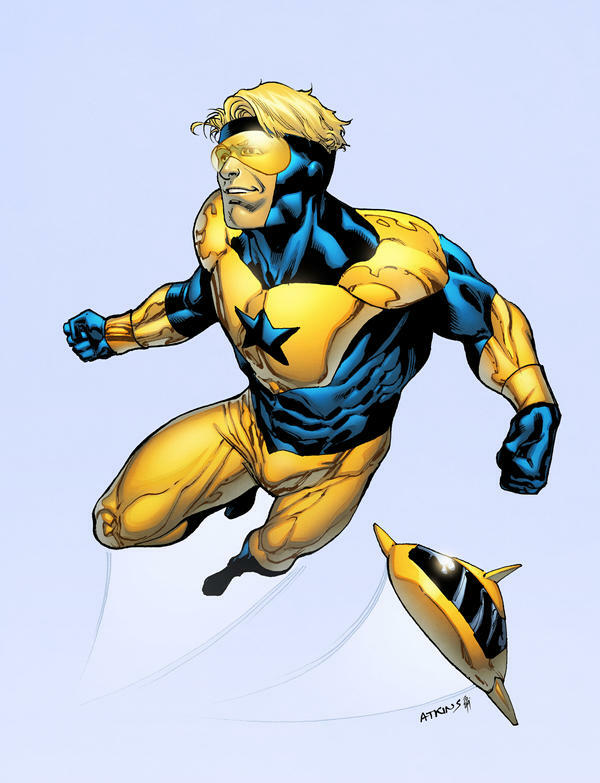 In addition to everything else, I’m still mad about the awesome character development that Booster Gold was getting before the Flashpoint/New 52 monstrosity just erased it. What do you think? Do you prefer either DC or Marvel over the other? Are there any characters, or aspects of a character, that has been lost due to a reboot or retcon that you really miss? Let us know in the comments! William B. Davis will reprise his role as the mysterious Cigarette Smoking Man. The X-Files has always had the overarching story of aliens and the government’s attempts to keep their presence a secret. When the show ended, the Cigarette Smoking Man confirmed to Mulder what he had feared, an invasion would occur in 2012 with the end of the Mayan calendar. After that, the series ends with the hope that Mulder and Scully would face whatever comes to pass in the future. However, 2012 has come and gone. What happened? Did they thwart an alien invasion? Or were they wrong? Series creator Chris Carter has said that these will be new stories, but this is an important thread that needs to be addressed. Monica Reyes, Dana Scully, and John Doggett. We already know that David Duchovny and Gillian Anderson are reprising their roles as Fox Mulder and Dana Sculley. However, what about the other characters? Robert Patrick’s John Doggett and Annabeth Gish’s Monica Reyes were surprisingly absent from The X-Files: I Want to Believe film. They should tell us what happened to these characters, who gradually took over for Mulder and Scully as the series ended its television run. Are they still with the FBI? If not, what have they been doing since then? Even more curious, what is the deal with the return of the Cigarette Smoking Man? He received a rocket to the face in The X-Files finale. That is a hard one to come back from but probably not beyond the Cigarette Smoking Man’s capabilities. First look at David Duchovny and Gillian Anderson in their roles as Mulder and Scully in the series revival. We will at least get new monsters for a new age. Although the alien mythology and the characters are equally as important, The X-Files has always been known for going into those dark places and seeing what is truly hidden in the shadows. The fact that the show is back in Vancouver B.C., as opposed to Las Angeles where they shot their later seasons, is certainly a step in the right direction. We can certainly expect new monsters and new scares as we await the series premiere on January 24, 2016.